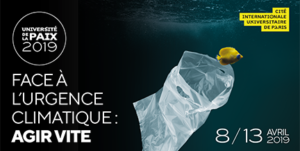 The fifth Peace University gathering at the “Cité Universitaire” student complex in southern Paris will focus on the world climate crisis and actions that need to be taken immediately to fight global warming and bring about unprecedented change to all aspects of society. In June 2018 around sixty Friends from a variety of European countries gathered in the French capital to organise events around the biennial EuroSatory arms fair. 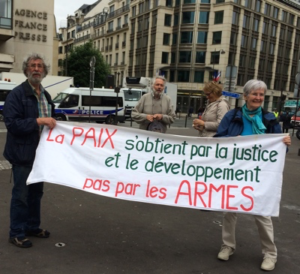 “Stop Fuelling War” is a Paris-based non-profit group founded by European Quakers to protest the global arms trade. For more information in English, French and German, visit the Stop Fuelling War website.